Patients who have lost teeth are sometimes not happy with their replacement options. Should you get a bridge? Maybe dentures are the answer? While both of these can be good choices, they each have their downsides. Dental implants are superior to both of these options. 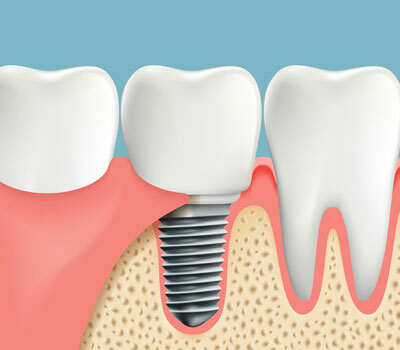 A dental implant is permanent. You never remove it – not even to sleep. Furthermore, since dental implants are fixed in your jaw, they will not slip or shift out of position. The aesthetics are also excellent. Implants look very natural. In fact, only Dr. Ryan will be able to tell that the implant is not your original tooth. We have implants available for a single tooth, multiple teeth, and even entire arches at Winneconne Family Dentistry. That’s right – dental implants can replace full dentures! Dr. Ryan offers FREE implant consultations. Dial (920) 582-4427 today to take advantage of this offer.